What is the DC franchise? Ever heard of Batman? Superman? Wonder Woman? These are just a few of many legendary characters who have been a part of our lives for decades and have created a legacy beyond the imaginable with an intent to inspire the world of fantasy. The DC Extended Universe (DCEU) is an American media franchise, centred on a series of superhero films based on the characters that appear in publications by DC comics. DC comics are known for their material featuring well-known superhero characters, which has shaped their tremendous fame and success. Doctor Occult is DC Comic’s earliest character to still be in the DC universe. Also known as “The Ghost Detective”, Doctor Occult is a private investigator who specializes in cases involving the supernatural. Created by Jerry Siegel and Joe Shuster, the character first appeared “New Fun Comics #6” in October 1935, three years before Superman made his debut. In the 1980’s, after nearly 50 years of no appearances, Roy Thomas revived the character as part of the World War II team “The All-Star Squadron” developing further his backstory with the Seven. He was revived once again in the 1990’s by Neil Gaiman for his “Books of Magic” mini-series where he was of one of the mystical guides of the DC Universe for the boy “Tim Hunter.” Gaiman introduced the character as being bonded with “Rose Psychic” in one body, as male and female aspects of the same spirit. Other writers later explained this as occurring during an incident when one was dying, thus bonding their souls to restore the other. 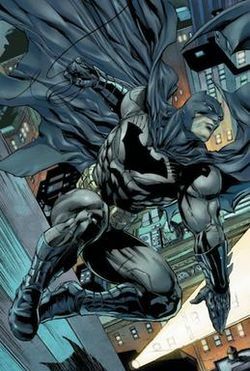 The character known as “Batman” was created by artist Bob Kane and writer Bill Finger, and first appeared in Detective Comics #2 on May 1939. Batman became popular soon after his introduction in 1939 and gained his own comic book title, “Batman”, the following year. As the decades went on, differing interpretations of the character emerged. The late 1960’s Batman television series used a camp aesthetic, which continued to be associated with the character for years after the show ended. Various creators worked to return the character to his dark roots, culminating in 1986 with “The Dark Knight Returns” by Frank Miller. The character has remained a huge success and fan favourite amongst the public due to Warner Bros.’ live-action “Batman” feature films. Batman has been portrayed in both film and television by Lewis Wilson, Robert Lowery, Adam West, Michael Keaton, Val Kilmer, George Clooney, Christian Bale, and Ben Affleck. The origin story of Superman relates that he was born Kal-El on the alien planet Krypton, before being rocketed to earth as an infant by his scientist father Jor-El, moments before Krypton’s destruction. Discovered and adopted by a Kansas father and his wife, the child is raised as Clark Kent and imbued with a strong moral compass. Very early on he started to display various superhuman abilities, which, upon reaching maturity, he resolved to use for the benefit of humanity through a secret “Superman” identity. Jerry Siegel and Joe Shuster, the creators of the fictional character, sold Superman to Detective Comics (DC) in 1938. Superman debuted in Action Comics #1 and subsequently appeared in various radio serials, newspaper strips, television programs, films, and video games. 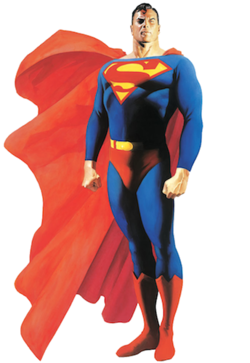 With this success, Superman helped to create the superhero archetype and establish its primacy within the American comic book. This fictional character is widely considered an American cultural icon. He has fascinated scholars, with cultural theorists, commentators, and critics alike exploring the character’s impact and role in the United States and worldwide. Several actors have portrayed Superman in motion pictures and TV series including Kirk Alyn, George Reeves, Christopher Reeve, Tom Welling, Brandon Routh, Henry Cavill, and Tyler Hoechlin. The DC franchise created a fictional universe full of imagination, creativity, and power. The franchise will forever remain a legacy to its followers and will continue to influence the development of future fictional superheroes. It is only fitting to end off our horror-themed month with films about paranormal events. There is nothing spookier than the unknown, and what better way to get viewers on the edge of their seats. Here are three famous paranormal films that’ll get your hearts racing. Enjoy!!! 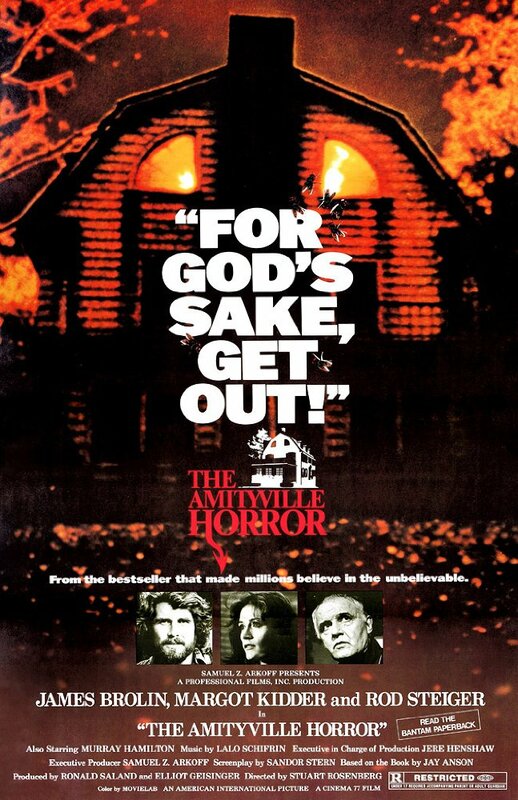 The Amityville Horror is a timeless classic that will forever live in the hearts of horror fanatics. Many speculate whether or not the story is real or just a publicity hoax, but we’ll leave that for you to decide. The film is truly terrifying and stands out as one of the best paranormal stories and horror films ever made. The film is eerie throughout, filled with haunts and disturbing imagery that were original for its time. In November, 1974, the prior owner of the home had a son, Ronald “Butch” Defeo Jr, who killed his entire family in a single night as they slept in their beds. He claimed to police authorities that a hit man killed his family, but several other stories of how his family was murdered began to unravel. Ronald was immediately labelled a suspect to the murders, and after enough police interrogation, he confessed to his crimes. But this was no ordinary confession, as Ronald believed that evil spirits in the house told him to kill his whole family. Was he delusional? Or could it be the same spirits who haunted and scrutinized the Lutz family? 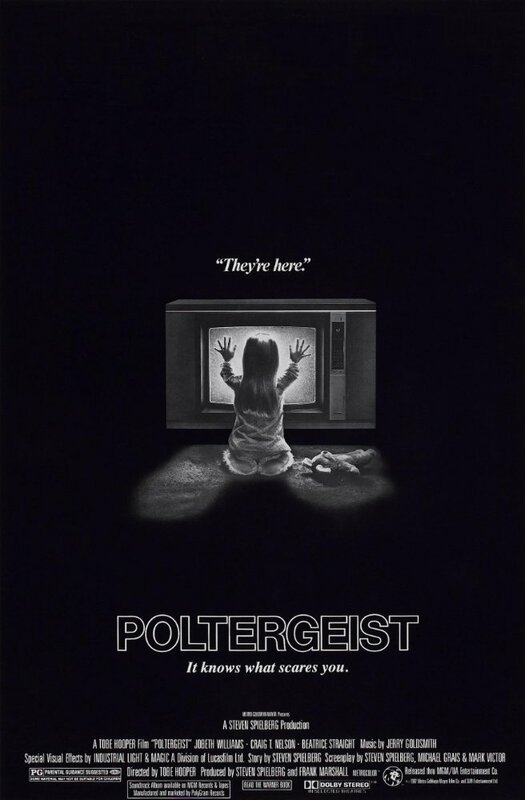 While living an average family house in a pleasant neighbourhood, the youngest daughter of the Freeling family, Carol Anne, seems to be connecting with the supernatural through a dead channel on the television. It is not for long when the mysterious beings enter the house’s walls. At first seeming like harmless ghosts, they play tricks and amuse the family, but they take a nasty turn- they horrify the family to death with angry trees and murderous dolls, and finally abduct Carol Anne into her bedroom closet, which seems like the entrance to the other side. Poltergeist was a success due to its believable characters, fantastic story line, and that wonderful sense of twisted imagination. Instead of just standing still and letting the special effects overwhelm the cast and audiences, Spielberg and Hooper tried to envision the movie’s strange events through the eyes of the family. This way, the scenes felt more authentic and chilling, as a horror film should. 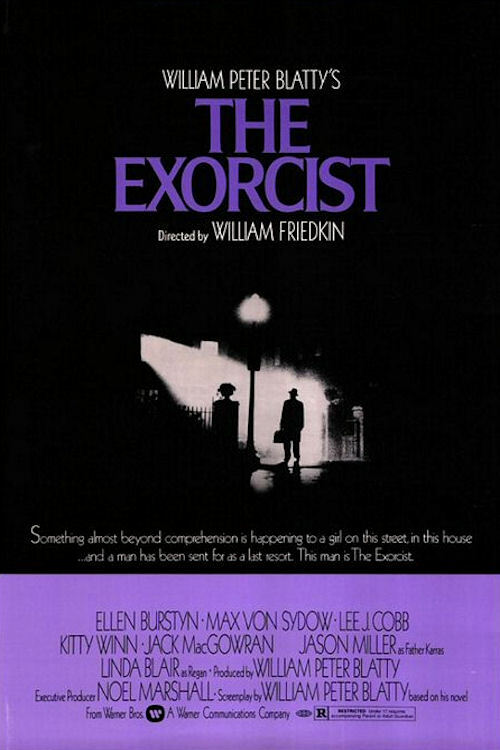 It goes without saying that ‘The Exorcist’ is one of the scariest horror films in film history. No one can deny the brutal shocks and indescribable obscenities that this movie carries, leaving audiences feeling raw and unsettled. One man placed a bet with his friends that he could sit in an empty cinema and watch the entire film. If you guessed he lost the bet, you were right. A visiting actress in Washington, D.C., notices dramatic and dangerous changes in the behaviour and physical makeup of her 12-year-old daughter. Meanwhile, a young priest at nearby Georgetown University begins to doubt his faith while dealing with his mother’s terminal sickness. And, book-ending the story, a frail, elderly priest recognizes the necessity for a show-down with an old demonic enemy. The film establishes a new low for grotesque special effects. Among the sights to which the audience are exposed to, nothing can be more shocking than watching the possessed girl walk down a staircase on all fours with a face that can only be described as mutilated and ghastly. It is an image that many struggle to erase. The film is not for the faint-hearted, but even horror fans need to prepare for the events of this film. There are many other paranormal films just as scary and worth watching. Just make sure you’ve got someone sitting next to you – watching a horror on your own is never the best idea. Let us know what your favorite paranormal film is! We hope you enjoyed being spooked out!!! All of us horror fans have a slight obsession with serial killers. We find their psychopathic frame of mind rather intriguing, and we all want to know where everything went wrong that led them to become sadistic murderers. But more importantly, which serial killer is the deadliest of them all? Many psychotic thrillers have turned into enormous franchises, thus; following one or two remakes. Let’s take a look at one of Hollywood’s three greatest serial killers: Norman Bates, Leatherface, and Hannibal Lecter. If you haven’t heard of Alfred Hitchcock’s 1960 horror flick, “Psycho”, you’ve been living under a rock! This psychological horror masterpiece painted Hitchcock as a master film-maker and director, as he changed the way that audiences looked at the psychological horror genre. Phoenix office worker Marion Crane is fed up with the way life has treated her. She has to meet her lover Sam in lunch breaks and they cannot get married because Sam has to give most of his money away in alimony. One Friday Marion is trusted to bank $40,000 by her employer. Seeing the opportunity to take the money and start a new life, Marion leaves town and heads towards Sam’s California store. Tired after the long drive and caught in a storm, she gets off the main highway and pulls into The Bates Motel. The motel is managed by a quiet young man called Norman who seems to be dominated by his mother. The 1998 remake, directed by Gus Green Van Sant Jr. angered many critics and viewers, simply because Van Sant didn’t not so much remake the film as he did clone it, virtually shot for shot, line for line. From experience, it is evident that many movie remakes do not exceed the level of the original, however; audiences like to compare the similarities between the two versions, but in this case, it’s easier to talk about what’s different! The most obvious difference is colour. Hitchcock chose to film in black and white, as it added a more darker, sinister edge to the film. The 1960 cast also set a high standard of performances portrayed by Anthony Perkins (Norman Bates), Vera Miles, Janet leigh, and John Gavin. However; Vince Vaughn’s performance of Norman Bates in the 98’ version was quite chilling and seriously disturbing. We’ll give him a thumbs up for that! But one thing we can’t take away from Anthony Perkins is his close up shot in the final scene. His dark, emotionless eyes really translate the look of a serial killer and psychopath, sending shivers down your spine. Nonetheless, this goes to show that some films should be left alone rather than be tampered with. In 1974, director Tobe Hooper introduced us to the gut-wrenching, American slasher film, The Texas Chainsaw Massacre. The film depicts a family of monstrous individuals who resort to murder and cannibalism after the town they live in becomes deserted. The executioner behind the murders is known as Leatherface, a large, delinquent man who uses a chainsaw to kill his victims. Based on the real-life serial killer, Ed Gein, Hooper thought it would scare viewers even more if Leatherface wore his victim’s faces as masks! Driving through the backwoods of Texas, five youths pick up a traumatized hitchhiker, who shoots herself in their van. Shaken by the suicide, the group seeks help from the locals, but their situation becomes even more surreal when they knock on the door of a remote homestead. It’s quickly apparent the residents are a family of inbred psychopaths, and the unlucky youths suddenly find themselves running for their lives. In hot pursuit is a disfigured, chainsaw-wielding cannibal known as Leatherface. Most viewers like to remain loyal to a film’s original piece, but in this case, there are mixed opinions. Both versions are terrifying and will leave you with an unsettling feeling throughout the film, but which one is better? In 2003 Marcus Nispel and Michael Bay decided to produce a remake of this classic horror flick with a little modern-day twist. Although the remake followed the same story line, more or less, slight alterations were made. The biggest change of all was the transformation of the Sawyer family to the Hewitt family. Some female characters were added to the Hewitt family but the same level of cruel and merciless behavior was present. The 1974 version lacks a lot of blood and guts, which actually makes this a masterpiece as it still brings out the terrified side in all of us. All of the gore that was absent from the original was put full-force on display in the remake. The modernization of film making has left viewers almost desensitized to the amount of violence exposed to us on screen, so what good would the 2003 remake be without all the blood and guts? One thing is for sure, the obscene amount of gore in the remake brings a new form of discomfort and anxiety to the audience that was missing in the original. Most viewers would agree that the sight of leatherface alone is enough to make your skin crawl. He is ruthless, sadistic, and to put it plain and simple, psychotic. Anthony Hopkins gives the award-winning performance of Hannibal “the cannibal” Lecter, a flesh-eating psychiatrist villain with no mercy to spare. Lecter was first introduced to us in the well-acclaimed thriller, The Silence of the Lambs, followed by the riveting sequel, Hannibal. FBI trainee Clarice Starling works hard to advance her career, including trying to hide or put behind her West Virginia roots, of which if some knew would automatically classify her as being backward or white trash. After graduation, she aspires to work in the agency’s Behavioral Science Unit under the leadership of Jack Crawford. While she is still a trainee, Crawford does ask her to question Dr. Hannibal Lecter, a psychiatrist imprisoned thus far for eight years in maximum security isolation for being a serial killer, he who cannibalized his victims. Clarice is able to figure out the assignment is to pick Lecter’s brains to help them solve another serial murder case, that of someone coined by the media as Buffalo Bill who has so far killed five victims, all located in the eastern US, all young women who are slightly overweight especially around the hips, all who were drowned in natural bodies of water, and all who were stripped of large swaths of skin. The continuing saga of Hannibal Lecter, the murdering cannibal. He is presently in Italy and works as a curator at a museum. Clarice Starling, the FBI agent whom he aided to apprehend a serial killer, was placed in charge of an operation but when one of her men botches it, she’s called to the mat by the Bureau. One high ranking official, Paul Krendler has it in for her. But she gets a reprieve because Mason Verger, one of Lecter’s victims who is looking to get back at Lecter for what Lecter did to him, wants to use Starling to lure him out. When Lecter sends her a note she learns that he’s in Italy so she asks the police to keep an eye out for him. But a corrupt policeman who wants to get the reward that Verger placed on him, tells Verger where he is. But they fail to get him. Later Verger decides to frame Starling which makes Lecter return to the States. And the race to get Lecter begins. Just when you thought a sequel might ruin the original, an even better adaptation unfolds. Even the name “Hannibal” gives people the creeps, because most of us associate the name with the cannibalistic serial killer. It is evident that both films were a tremendous success, however; Silence of the Lambs is where we first met Lecter, suggesting that this was the starting point of his sadistic legacy. Hopkins’ portrayal of Hannibal Lecter caught the imagination of viewers and transformed the doctor into an unforgettable monster and comic figure. All three serial killers are inspired by real-life events, which makes the films even more terrifying to watch. But that’s what horror is all about! It’s hard to explain why we like watching horror flicks, even though they give us nightmares and scare us beyond belief. Maybe it’s the thrill we get when we don’t know what’s coming! It’s all about SUSPENSE! It’s a great excuse to chow on your popcorn, or cuddle up closely to a friend. Either way, horror is here to stay! Blaxploitation arose at a critical time for the Hollywood film industry. While black political activists battled in the courtrooms and streets for the end of segregation and equal civil rights, it became increasingly difficult for Hollywood studios to ignore black society, which ultimately led to the infiltration of black actors and filmmakers in Hollywood. Thus; Blaxploitation was born. Here are just two examples of the type of films produced in this genre. This film is set in Harlem, of which 110th street is an informal boundary line. In a daring robbery, some $300,000 is taken from a Mafia-owned Harlem policy bank. Several mafiosi are killed, as are two policemen. Lieutenant William Pope, played by Yaphet Kotto, has to work with crude, racist but streetwise Italian-American Captain Frank Mattelli, played by Anthony Quinn, in the NYPD’s 27th precinct. They are looking for three black men who slaughtered seven men, three black gangsters and two Italian gangsters. Mafia lieutenant Nick D’Salvio, played by Anthony Franciosa, and his two henchmen are also after the hoods. Will the mafia catch these criminals first, or will the police? The film has claimed to be more than just a cliché. It was deep and developed, yet had a simplistic story about cops and criminals, with a gritty and honest addition to its characters. It was seen as pure and uncut, with cinematic genius from beginning to end. Despite the many pitfalls seen by critics, the film continually saved itself by being genuine and dark throughout. The film demonstrated the raw force of truth, giving viewers a rare (yet fictional) story of the changing of the guard in Harlem, the truth of its streets, and the minds of its criminals. It was this film that catapulted Pam Grier to a level of iconic stardom. Foxy oozes independence and woman empowerment. She’s a ‘whole lotta’ woman who’s got what it takes to beat the baddies at their own game, a voluptuous body, a show-stopping Afro, and, most importantly, a “black belt in barstools”. Together with Jack Hill’s (director) slick direction and an exciting yet soulful Willie Hutch soundtrack, this movie is a modern classic that exceeds the Blaxploitation genre in which it evolved. There are hundreds of International blaxploitation films on the market which we encourage you to watch. The genre carries many themes to suit your taste, such as action, romance, horror, crime, and sci-fi to name a few. So bring out the popcorn, kick up your feet, and enjoy! What is Blaxploitation? Blaxploitation was a term coined in the early 1970’s to refer to a sub-genre of black cinema, which incorporated the culture of Black people in America and worldwide. Although initially popular, it quickly disintegrated as a film genre criticized for stereotypical characterization and glorification of violence. In retrospect, Blaxploitation and the legacy it left behind have been acknowledged as a positive contribution to African and African-American film history. Blaxploitation films such as Sweet Sweetback’s Badasssss song , Coffy , and Dolemite  proved that black actors possessed a strong box-office appeal, and despite the fact that many of the films were written, directed and produced by white people, black audiences finally saw the recognition that African and African-American actors, directors and writers deserved, and fought for, since the early days of silent film. The following South African films, restored by Retro Afrika Bioscope, depict the essence of Blaxploitation. When Kay Kay, a powerful, ruthless businessman sets out on a mission of revenge against two men accused of killing his brother, he strong-arms the local sheriff into forming a posse of thugs to aid in his vendetta. But when Jet and Owen, the two easy going friends, learn of the gang out for their blood, they prepare to stand their ground and fight back. It all comes to a head in a final gunfight, a showdown in the small western town where blood will have to be split if the friends wish to come out of this alive. Bullet is back, and this time he will have to put his reputation on the line as he goes deep undercover in prison to unfold the mystery of a police corruption ring, being run by one of the most wanted mob bosses in the country, a man known only as Snake. When looking at Blaxploitation films, we can see a historical cultural significance that comes from a time and place which transcends into the universal truths of freedom, expression, and community. Despite some of the controversy that these films created, it opened the doors to talented African-Americans, ultimately proving to its audience that they could thrive in film. Thus, their achievements speak for themselves. Women continue to embrace our screens with talent, charm, and wit, and it is with this statement that we find it necessary to honour the lives of many great female stars who are no longer with us today. These women revolutionised the world of stardom, and put forward impeccable performances for their audiences. Thus, it goes without saying that these women should be commended for their inspirational performances, elegance, and talent. Here are five films we encourage you to watch, starring Grace Kelly, Judy Garland, Jean Harlow, Thelma Todd, and last but not least, Marilyn Monroe. Professional photographer L.B. “Jeff” Jeffries breaks his leg while getting an action shot at an auto race. Confined to his New York apartment, he spends his time looking out of the rear window observing the neighbors. He begins to suspect that a man across the courtyard may have murdered his wife. Jeff enlists the help of his high society fashion-consultant girlfriend Lisa Freemont, played by the lovely Grace Kelly, and his visiting nurse Stella to investigate. St. Louis 1903. The well-off Smith family has four beautiful daughters, including Esther, played by the wonderful Judy Garland, and little Tootie. 17-year old Esther has fallen in love with the boy next door who has just moved in, John. He however barely notices her at first. The family is shocked when Mr. Smith reveals that he has been transferred to a nice position in New York, which means that the family has to leave St. Louis and the St. Louis Fair. Professor Quincy Adams Wagstaff has just been installed as the new president of Huxley College. His cavalier attitude toward education is not reserved for his son Frank, who is seeing the college widow, Connie Bailey – played by the talented Thelma Todd. Frank influences Wagstaff to recruit two football players who hang out in a speakeasy, in order to beat rival school Darwin. Unfortunately, Wagstaff mistakenly hires the misfits Baravelli and Pinky. Finding out that Darwin has beaten him to the “real” players, Wagstaff enlists Baravelli and Pinky to kidnap them, which leads to an anarchic football finale. When two Chicago musicians, Joe and Jerry, witness the St. Valentine’s Day massacre, they want to get out of town and get away from the gangster responsible, Spats Colombo. They’re desperate to get a gig out of town but the only job they know of is in an all-girl band heading to Florida. They show up at the train station as Josephine and Daphne, the replacement saxophone and bass players. They certainly enjoy being around the girls, especially Sugar Kane Kowalczyk, played by the breath-takingly beautiful Marilyn Monroe, who sings and plays the ukulele. Joe in particular sets out to woo her while Jerry/Daphne is wooed by a millionaire, Osgood Fielding III. Mayhem ensues as the two men try to keep their true identities hidden and Spats Colombo and his crew show up for a meeting with several other crime lords. These leading ladies have set a high standard for today’s generation of female stars, and although there are many talented performers today, there is something about the elegance, beauty and femininity which these ladies possessed that defined their era.